In the 1960s, several Americans sought fame and fortune in England, landing in the UK just as the British Invasion of music and movies was about to sweep the world. American-born-filmmakers such as Stanley Kubrick and Richard Lester made their mark in England, as did record producers Jimmy Miller, Shel Talmy and Tony Visconti and of course Jimi Hendrix formed the Jimi Hendrix Experience in England. 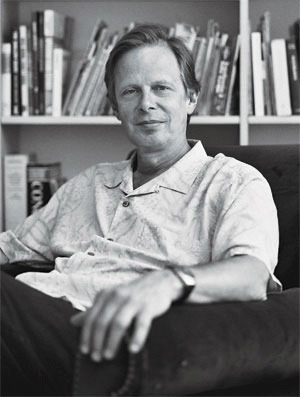 Another American who would make Britain his home and become most associated with British music was Joe Boyd. Boyd was born in Boston and graduated from Harvard in 1964. 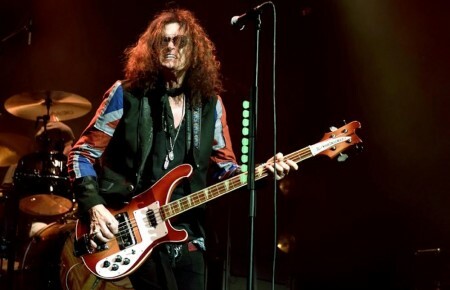 For those in the music business who know the key players behind the scenes, Boyd is regarded as a Zelig-like figure, which produced some of the most important British artists of the 1960s and 1970s, such as Pink Floyd, Soft Machine, Eric Clapton, Steve Winwood and Jack Bruce. He would also produce Toots and the Maytals, Nico, and Maria Muldaur, including Muldaur’s smash hit “Midnight at the Oasis.” Yet, the artists with whom Boyd became most associated were the British artists whose music would best be described as folk-rock, but who would also move from folk to psychedelic, to rock, to art-song, including The Incredible String Band, Fairport Convention, Fotheringay, Nick Drake and John Martyn. In this period he would also produce Kate & Anna McGarrigle and Geoff Muldaur. Not only did Boyd produce albums for these artists, but also in many cases he was responsible for discovering them, and he released many of these albums on his own Hannibal Records label, which he began in 1980 and ended in the late 90s. In addition to being a record producer, Boyd was involved behind the scenes in the 1960s at the Newport Folk Festivals, including in 1965 when Bob Dylan went electric. It was his suggestion that Mike Bloomfield join the Paul Butterfield Blues Band. Also, he was responsible for having the fledgling, Syd Barrett-era Pink Floyd play at the landmark London Free School’s International Times magazine 1966 benefit concert at the Roundhouse in London and co-founded the UFO Club, London’s answer to the Fillmore and the vortex of the British underground music scene. As the 1970s ended, Boyd could have easily slipped off to retirement with his place in music history secure. Instead, he continued to produce critically acclaimed albums for Fairport Convention, June Tabor, and Richard Thompson. In fact, Thompson’s collaboration with his wife Linda, Shoot Out The Lights, which Boyd produced, is continually regarded as one of the best albums of the 1980s. He also produced key albums for 10,000 Maniacs (The Wishing Chair), Billy Bragg (Workers Playtime) and Fairport Convention (the live House Full). He would also be the first producer outside of Mitch Easter and Don Dixon to work with R.E.M., producing the group’s now classic 1985 release Fables of the Reconstruction. Boyd would become one of the leading forces in world music, producing such artists as Toumani Diabate, Virginia Rodrigues and many others. He would also produce Loudon Wainwright III, Taj Mahal, Defunkt and many others. From his Hannibal label there would be releases from Ali Farka Touré and Ry Cooder (long before the Buena Vista Social Club), Baka Beyond, and historic reissues from Sandy Denny, Robert Wyatt and Linda Thompson. For all his involvement with folk and world music, Boyd was involved in two blues-related projects. Of course there was the aforementioned involvement with the Paul Butterfield Blues Band. The other project was What’s Shakin’. Sometimes mistaken as a Lovin’ Spoonful album, the compilation release also included tracks from Butterfield’s band, Tom Rush, Al Kooper and a band that was credited as Eric Clapton and the Powerhouse. The band was put together by Boyd to add some tracks to the What’s Shakin’ album to be released by Jac Holzman’s Elektra label. Paul Jones of Manfred Mann was the one who brought the musicians together. At the time, Boyd was beginning a stint as Elektra’s man in London. Jones had approached him about a project he had and Boyd told him he was looking to get British blues musicians together for some tracks for Elektra, to which Jones asked, “who do you want?” “We put a list together on the back of an envelope,” Boyd said. The list included Clapton, Winwood, Bruce and Baker. Boyd said after Jones left he thought “Yeah, sure. That’s the last I’ll ever see of Paul Jones.” To Boyd’s astonishment, Jones rang him back straightaway and said, ‘No problem.’ Other than Baker, who was on tour with a jazz band, everyone else was on board. At the time Bruce was in Manfred Mann, Clapton was in John Mayall’s Bluesbreakers and Winwood was in the Spencer Davis Group. Due to contract obligations, Winwood used the name Steve Angelo (or on some editions Anglo). Boyd was not happy with the final results. “Holzman tried to take over the session and grabbed the tapes and mixed them in New York, he stated. “Eric told me about a group that he was going to put together with Jack and Ginger.” Boyd recalled that after telling Holzman about Eric’s new band, Holzman said, ‘I wasn’t that impressed with Clapton. You can sign them but you have a maximum budget for the record of 400 pounds.’” Of course, Cream ultimately signed with Robert Stigwood’s Reaction label and released its debut album in 1966 in England and on Atco in America in 1967 and the rest, as they say, is rock ‘n’ roll history. Throughout his career, Boyd has also been involved in many film projects, including producing the first documentary on Jimi Hendrix and the soundtrack album released in 1973. He also produced tracks for Pink Floyd which appeared in the films Tonight Let’s All Make Love In London and London ‘66-‘67. His first feature film work was as executive producer for the 1988 film Scandal, starring John Hurt and Bridget Fonda, about Britain’s Profumo scandal of the 1960s. 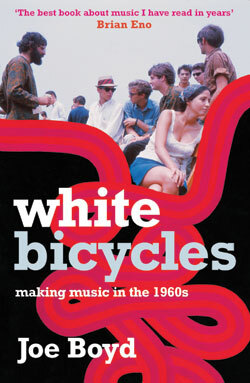 In 2006 he published his first book, White Bicycles: Making Music in the 1960s (Serpent’s Tail), which Brian Eno, among many others, has said, is the best book about music he has read in years. His next book will be a book on world music. On May 12th and 13th will be a New York Celebration of Kate McGarrigle at Town Hall, produced by Joe Boyd, featuring Anna McGarrigle, Rufus Wainwright, Martha Wainwright, and Emmylou Harris with more guests to be announced. You can also check out Boyd’s radio show broadcast on Resonance104.4, Joe Boyd’s Lucky 13. 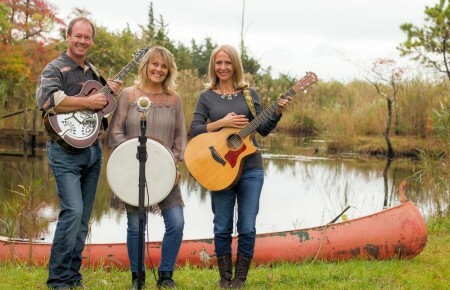 On the air Fridays at noon live from London, which began in November of 2010, the show can be streamed on the Resonance104.4 archives. On May 12th and 13th, there will be a New York Celebration of Kate McGarrigle at Town Hall NYC, produced by Joe Boyd, featuring Anna McGarrigle, Rufus Wainwright, Martha Wainwright and Emmylou Harris with more guests to be announced. For more information, visit http://www.joeboyd.co.uk. Book cover photo (taken at the 1965 Newport Folk Festival) by Jim Floyd. Photo courtesy of Joe Boyd.